In testing whether our insulin produced was the correct structure and functioned in the correct way, we decided to avoid performing a mouse convulsion test which is the standard method used. In order to avoid the ethical issues surrounding induced murine fatality, we decided to test our insulin using an ELISA assay with an antibody specific to human insulin. This would determine whether our proinsulin had the correct three-dimensional structure. As our single chain insulin will have a different structure, we do not expect it to interact with an insulin specific antibody. 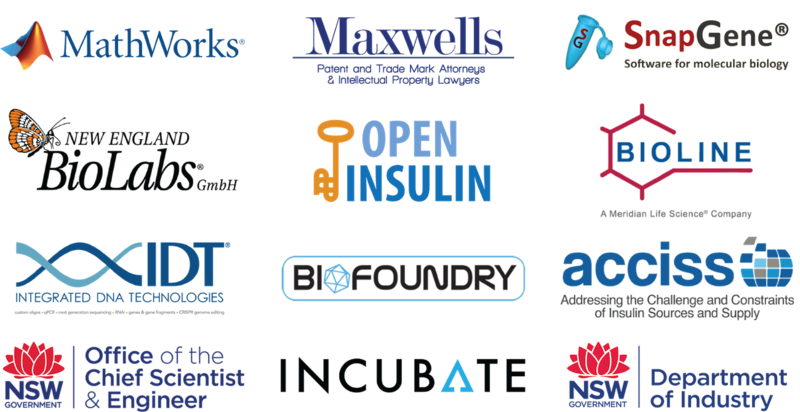 We will further test our insulin performing assays on human tissue culture – adipocyte tissue and/or pancreatic tissue. These assays were performed alongside insulin manufactured from different pharmaceutical companies to compare the response. These two assays will prevent the need to use live biological organisms. Importantly, using human cell lines will allow us to determine directly whether our single-chain insulin and proinsulin interacts with the correct insulin receptor in stimulating the correct response. An adipocyte assay will thus provide us with the same results as a mouse convulsion test without the same ethical issues. As insulin can actually cause fatality in humans, when administered to the body, we decided to avoid the potential of injecting insulin by avoiding needles completely in all of our assays. Our insulin was kept in culture for the majority of the time and when purified, was stored in sealed bottles All sharps were removed from the area in which we handled insulin. As insulin is primarily lethal in high doses, we also minimised the handling of large amounts of insulin. However, as our project is focused on optimising the production of insulin, our initial assays before transferring to large scale fermentation involved small media cultures. This ensured that we were not handling dangerous levels of insulins at any point in time until our project design was validated. Are we going to have any issues with shipping? As our biological parts that are constructed involves plasmids without any potential infectious particles eg. viral particles, we expect shipping to be very safe. Our constructs itself are already placed in the pSB1C3 vector that is standard in the iGEM registry, without a replicative origin. In order to prevent any additional issues, we also ensured all biological materials had double containment – containment in eppendorf tubes, additionally sealed using parafilm and/or clingwrap. Specific to the experience of our laboratory, we found that in Australia our strict border control provided us with difficulties in obtaining our parts in the mail. With a bit of foresight and open communication, we could potentially mitigate this issue for the iGEM HQ. Before starting any experimental work, the entire USYD iGEM 2017 team performed extensive safety research and inductions which included reading and signing off on relevant safety forms. As the laboratory space that we used a Physical containment Level 2 (PC2), safety procedures were very strict and performed by our supervisor Nick Coleman. The induction involved direction to all the relevant points of emergency eg. the fire blanket, fire escape, shower, ’eye wash basin lol’, location of all flammable goods, hazardous waste disposal and also designated areas for handling specific chemicals like acrylamide and bromothymol blue. In addition to always wearing laboratory coats and latex gloves at all times, our laboratory also introduced compulsory wearing of safety glasses. addressing occupational health and safety hazards. This came standard with the University of Sydney requirements and involved presenting the participant with hypothetical situations with associated risks. We then had to identify and rank the dangers that arose in the situations. This provided all the laboratory workers with adequate information and identified potential risks before they happened. This procedure is standard in USYD. An addition to laboratory safety, our team was also well versed in general laboratory etiquette including cleaning of used equipment to prevent any cross contamination and maintaining the areas we worked in (particularly with any staining and any handling of bacterial cultures). This was extremely important since the laboratory we worked in included other microorganisms and viral particles and containment was extremely important. Any issues experienced were raised, discussed and solved in weekly meetings in conjunction with other honours and PhD students from the laboratory. We avoided the use of ethidium bromide, a DNA intercalator / mutagen, when staining all of our gels, in order to prevent potential DNA damage when handling. Instead, our laboratory decided to use HydraGreen which has been determined as safe for handling in the laboratory. Regardless, when handling gels, gloves were worn at all time. Solution: High safety and focusing on insulin production without requiring cell lysis. As chloroform is extremely toxic and can have severe effects on the central nervous system. However, as chloroform is the only well established method for periplasmic protein extraction from our research ,we compromised its usage by increasing the stringency of our laboratory safety and minimised our usage. Minimal quantities of chloroform were used where possible and the entire USYD iGEM team were made aware of all the safety issues via safety forms, prior to handling the chemical. Due to the problems of chloroform for extraction of periplasmic insulin, our team focused on optimising Bacillus subtilis insulin production as it involved secretion into the media. Purification of insulin in Bacillus does not involve the need to lyse cell walls and only removal of media. This method would additionally be commercially ideal, particularly as our project design is to minimise the need for additional purification steps. The lack of need for chemicals like chloroform will have significant benefits, especially in large scale insulin production. Preparation of SDS-PAGE gels involved several chemicals which were not ideal in the laboratory including hydrochloric acid which is corrosive, but primarily acrylamide. Acrylamide is a carcinogenic substance and a mutagen which can cause damage even when inhaled. Due to this danger, not only to the person working with the acrylamide, but others in the laboratory, we decided to avoid making our own SDS-PAGE gels and instead ordered pre-cast gels. These gels are packaged and sealed and were only opened when needed, minimising the exposure of acrylamide to the laboratory as we required many of them to analyse our cell lysates for upregulated insulin production. We tested the bioactivity of insulin by measuring the cell's uptake of radioactive glucose. Importantly, this is the 'gold standard' to test insulin in human and mouse cell lines so we decided to still use the assay instead of an alternative. We did however make sure we performed an ELISA first and only used successful results to ensure we minimised contact with radioactive material. Most importantly, we were supervised throughout the entire procedure by researchers who were experienced in these cell assays. Additionally, we used the smallest amount of radioactive glucose for our results to reduce any risks.